The Tethered Docking Station, Horizontal Docking Station, and Vertical Docking Station unite in a battle against the dongles. 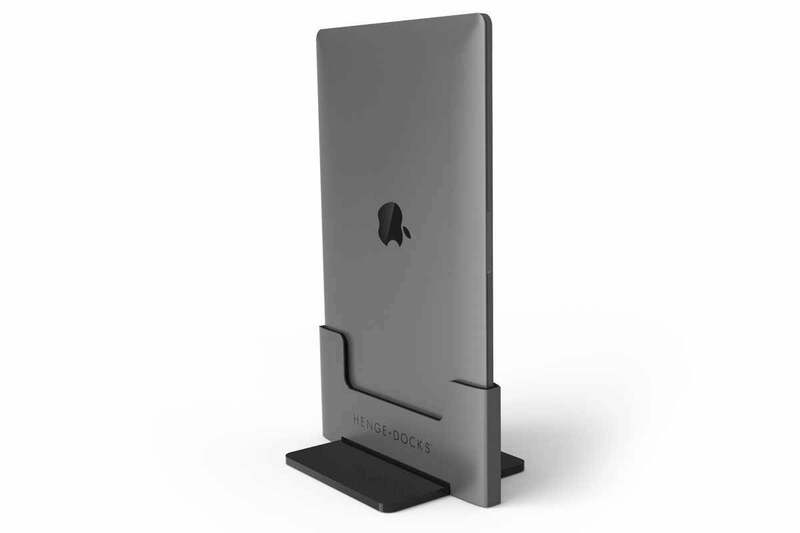 If you’re hesitant to get a new MacBook Pro because you hate the idea of using all kinds of adapters to connect to the laptop’s Thunderbolt 3 ports, you may be relieved to know that several companies are seizing this opportunity, including Henge Docks. 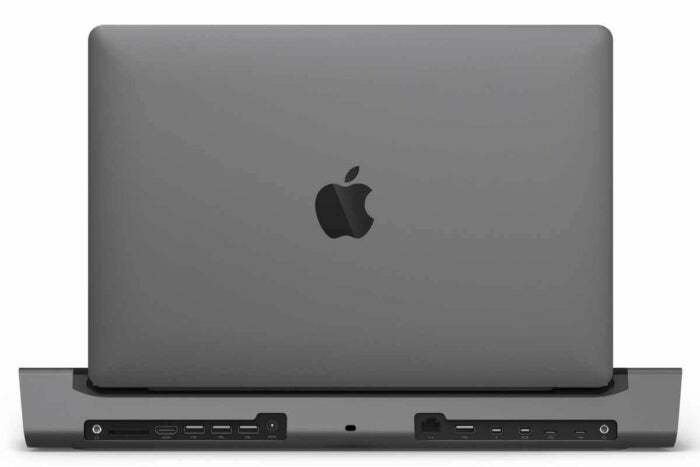 On Thursday at CES, the company revealed not one, not two, but three docks for the new MacBook Pro, all of which are equipped to make it easier to connect to the laptop. Two of the docks are revisions of currently available products. The Tethered Docking Station is a brand-new product from Henge Docks, and it features a design that’s somewhat akin to other Thunderbolt docks: it’s an external box that you connect all your devices to, and then you use a single cable to connect your laptop to the box. 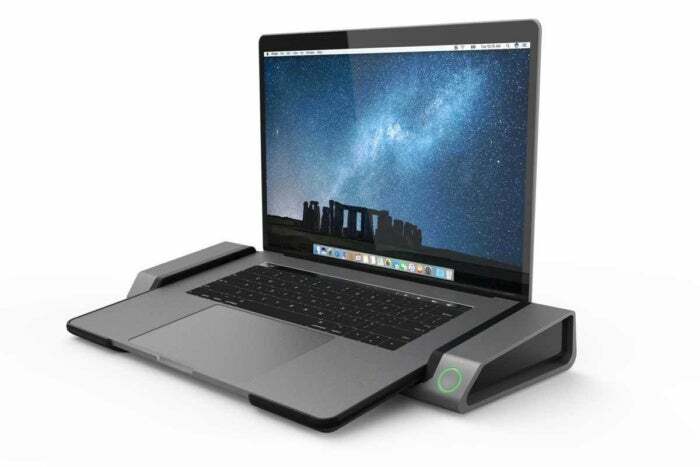 The Tethered Docking Station has a wedge shape, so you can rest your laptop on top of it. 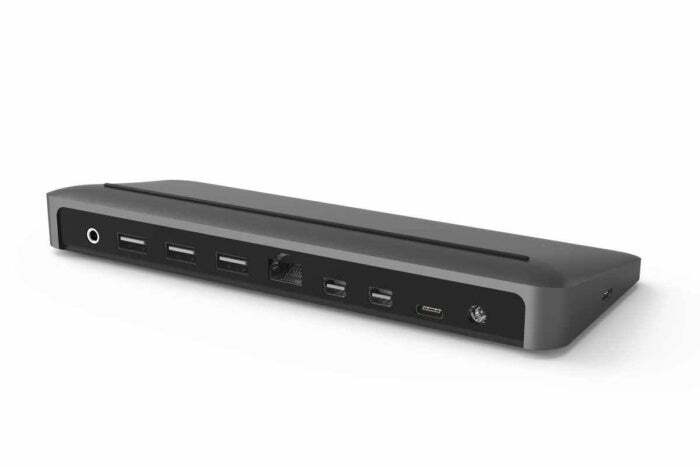 The dock has three USB 3 ports, two Mini DisplayPorts, gigabit ethernet, an audio port, an SD card slot, and a Thunderbolt 3 port for connecting to the MacBook Pro. The Tethered Docking Station also has an 85-watt power supply for charging your laptop. The Tethered Docking Station will be available in March. Pricing has yet to be determined. The original Horizontal Docking Station made its debut years ago, but the latest version of this dock now supports the Thunderbolt 3/USB-C connections on the MacBook Pro. If you need a lot of ports, the Horizontal Docking Station has plenty: four USB 3 ports, two Thunderbolt 3/USB-C ports, two Thunderbolt 2/Mini DisplayPort connectors, gigabit ethernet, two audio jacks, a SD card slot, and an HDMI port. The Horizontal Docking Station will be available in Spring 2017, with pricing yet to be determined. 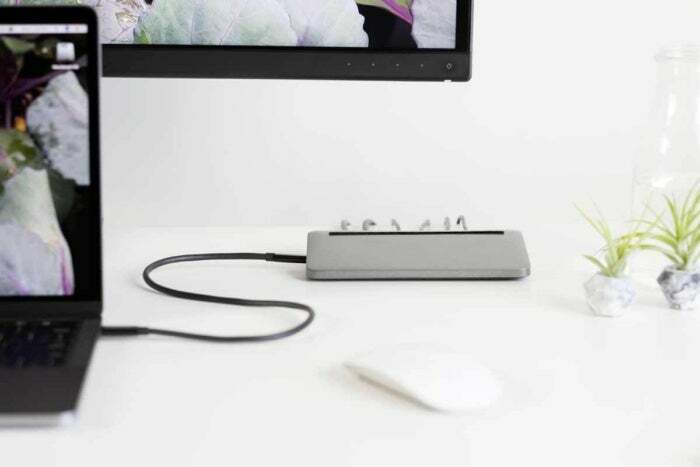 The Vertical Docking Station offers pass-through connectors to the laptop’s Thunderbolt 3 ports. If you need more ports, you can connect the new Tethered Docking Station. The Vertical Docking Station will be available in Spring 2017. Pricing has yet to be determined.